This is another very busy week for classical music in the Madison area. If Baroque music interests you, there are two noteworthy concerts this week that should attract your attention. 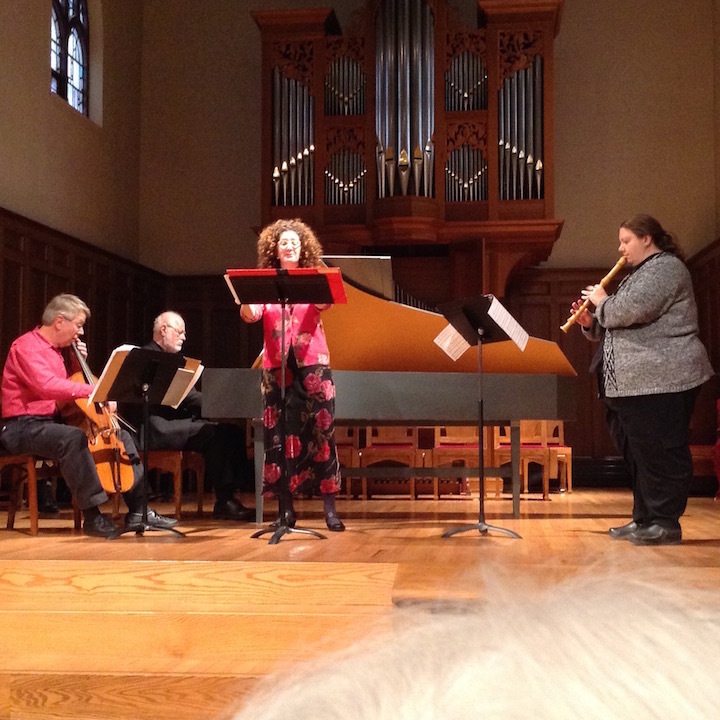 This Wednesday, Feb. 20. at 1 p.m. in Luther Memorial Church, 1021 University Avenue, the February midday concert by Just Bach (below, at its September concert) will take place. Admission to the all-Johann Sebastian Bach concert is FREE with a goodwill offering accepted. Because it will be lunchtime, food and drink are allowed. This month’s concert includes three diverse works. 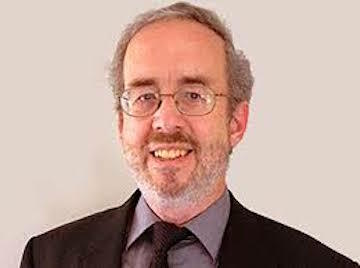 Organist Mark Brampton Smith (below) will open the program with the first movement of the Concerto in D Minor BWV 596. This is Bach’s arrangement for organ of the popular Concerto for Two Violins by Antonio Vivaldi, and it comes off with dramatic effect when transcribed to the organ. 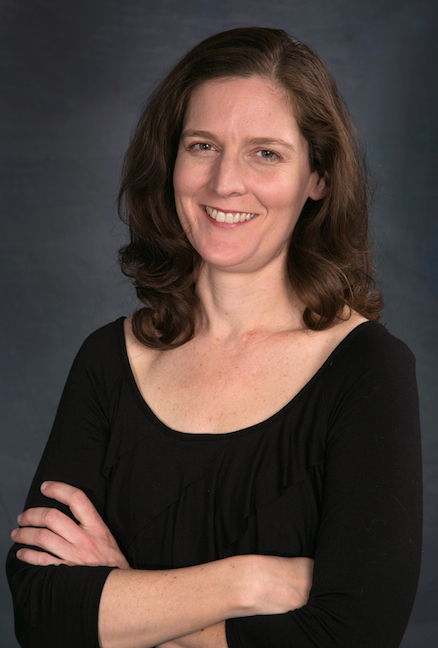 Violinist Leanne League will take the stage next, with the Sonata for Violin in A Minor, BWV 1003. 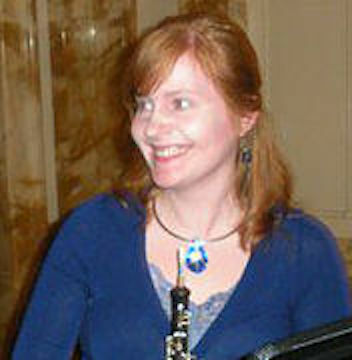 The orchestra of baroque period-instrument specialists will be led by concertmaster Leanne League, and will include oboist Claire Workinger (below), in her Just Bach debut. 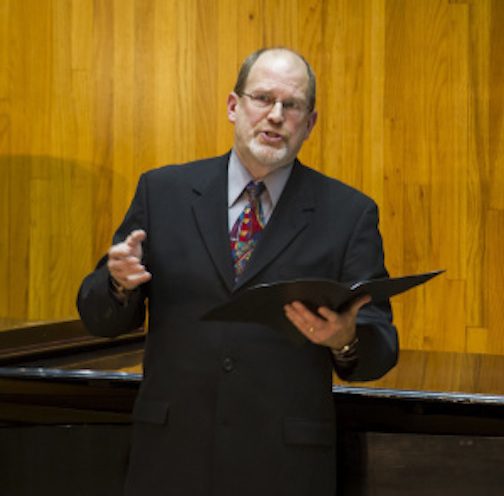 Organizers and performers say the goal of this series is to share the immense range of Bach’s vocal and instrumental repertoire with the Madison community at large. 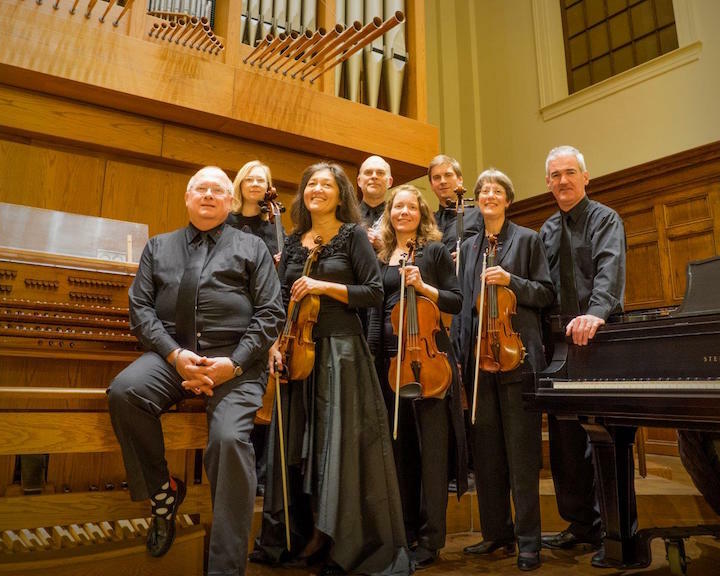 The period-instrument orchestra will bring the music to life in the manner and style that Bach would have conceived. The other Just Bach dates, all Wednesdays, this semester are March 13, April 24 and May 29. 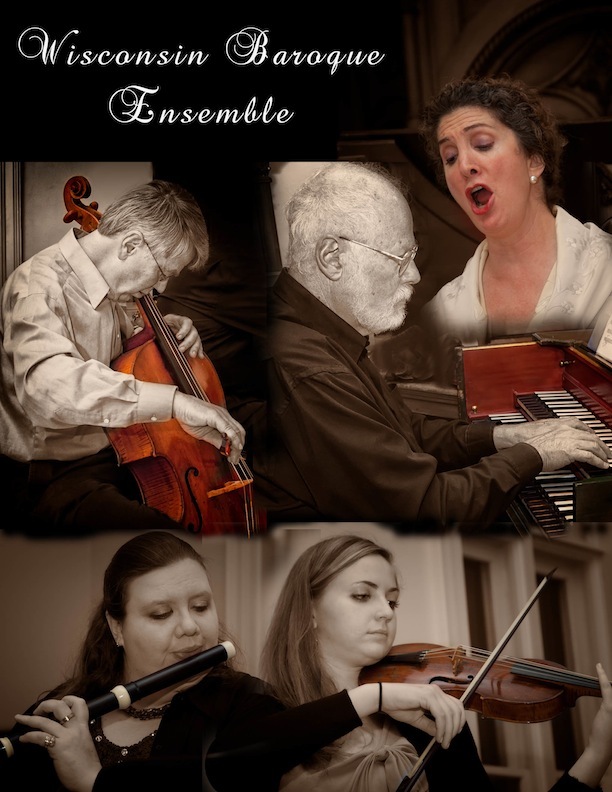 The veteran Wisconsin Baroque Ensemble will perform a varied concert of vocal and instrumental chamber music this coming Saturday night, Feb. 23, at 7:30 p.m. in St. Andrew’s Episcopal Church, 1833 Regent Street. Tickets can be purchased only at the door. Admission is$20, $10 for students. 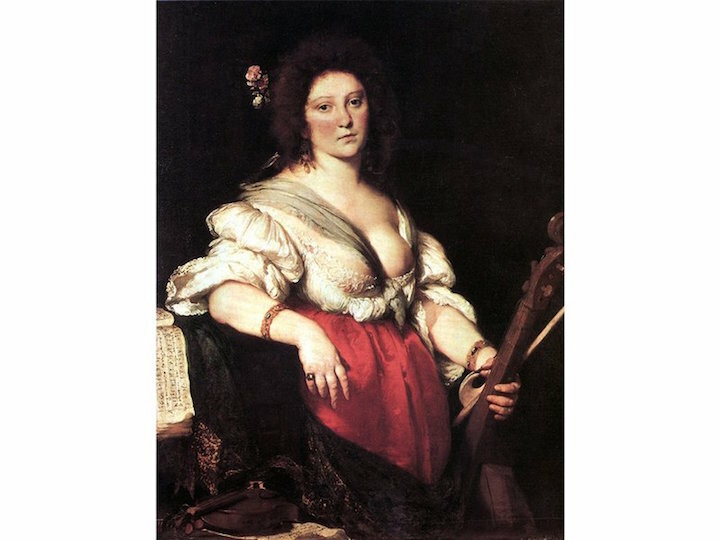 Performers are: Nathan Giglierano, baroque violin; Eric Miller; viola da gamba; Sigrun Paust, recorder; Charlie Rasmussen, baroque cello and viola da gamba; Consuelo Sañudo, mezzo-soprano; Daniel Sullivan, harpsichord; and Anton TenWolde, baroque cello. Following the concert, there will be a reception at 2422 Kendall Ave., Apt. 2. ALERT: This week’s FREE Friday Noon Musicale at the First Unitarian Society of Madison, 900 University Bay Drive, features the viola da gamba duo ViolMedium in “Façades and Duplicities,” a multi-dimensional exploration of the rich harmonic, timbral and dramatic potentials offered by violas da gamba. The viol is the medium through which gambists Eric Miller of Madison and Phillip Serna of Chicago bridge contemporary and historically informed performance. 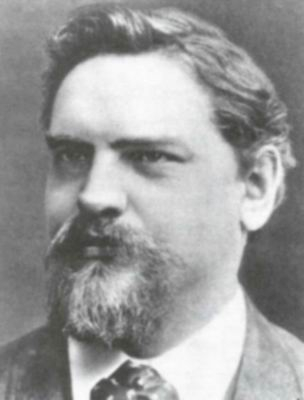 They use experimental and innovative programming as exemplified in masterworks by Carl Friedrich Abel, Bela Bartok, Gottfried Finger, Marin Marais, Christoph Schaffrath and others. The concert runs from 12:15 to 1 p.m. Food and beverages are allowed. The Madison-based chamber music group Con Vivo (below) will perform a “Winter Warmth” program of chamber music this coming Sunday afternoon, Feb. 3. The concert will include the Finale from Symphony No. 6 for organ by Charles Marie Widor; the Quartet for oboe and strings by Wolfgang Amadeus Mozart; and the Piano Quintet for piano, clarinet and strings, Op. 42, by Czech composer Zdenek Fibich. 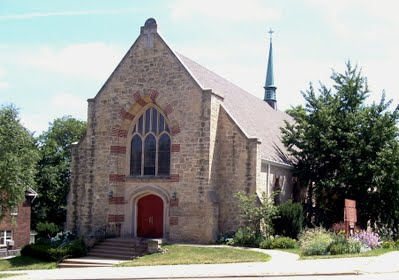 The concert takes place this Sunday afternoon, Feb. 3, at 2:30 p.m. in the First Congregational United Church of Christ, 1609 University Ave. across from Camp Randall Stadium. Tickets can be purchased at the door. Admission is $18 for adults, $15 for seniors and students. New to this concert is that Con Vivo will perform in two different spaces. The first half of the concert will be in the sanctuary, and the second half in the chapel at the First Congregational Church. This will provide the audience with different experiences for hearing the chamber music. In remarking about the concert, Con Vivo’s artistic director Robert Taylor said, “We continue our 17th season with music evocative of warm winter thoughts during these cold, dark winter days that we often have. 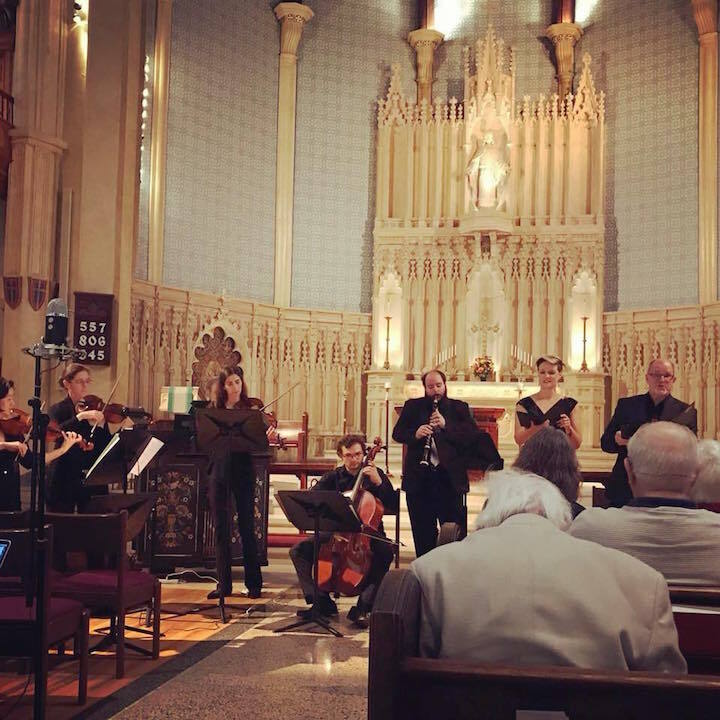 The Wisconsin Baroque Ensemble (below bottom) will perform a concert of baroque chamber music on this coming Friday night, Nov. 23, at 7:30 p.m. in Saint Andrew’s Episcopal Church (below top), 1833 Regent Street, on Madison’s near west side. Tickets are at the door ONLY: $20 for adults, $10 for students. Members of the ensemble are: Eric Miller, viola da gamba; Sigrun Paust, recorder; Chelsie Propst, soprano; Charlie Rasmussen, baroque cello and viola da gamba; Consuelo Sañudo, mezzo-soprano; Monica Steger, traverso, harpsichord and recorder; Anton TenWolde, baroque cello; and Max Yount, harpsichord.